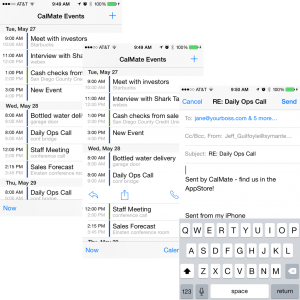 CalMate | Adding what Apple forgot! Make your iPhone actually WORK for business! I love my iPhone, but the calendar app sometimes drives me nuts. It seems like, several times a day, I want to reply to everyone on a meeting invite. Or forward a meeting invite to someone who should have it. Yet I can't. CalMate fixes what Apple forgot, and it's available ANY DAY NOW in the App Store! Need to quickly send everyone a reminder? 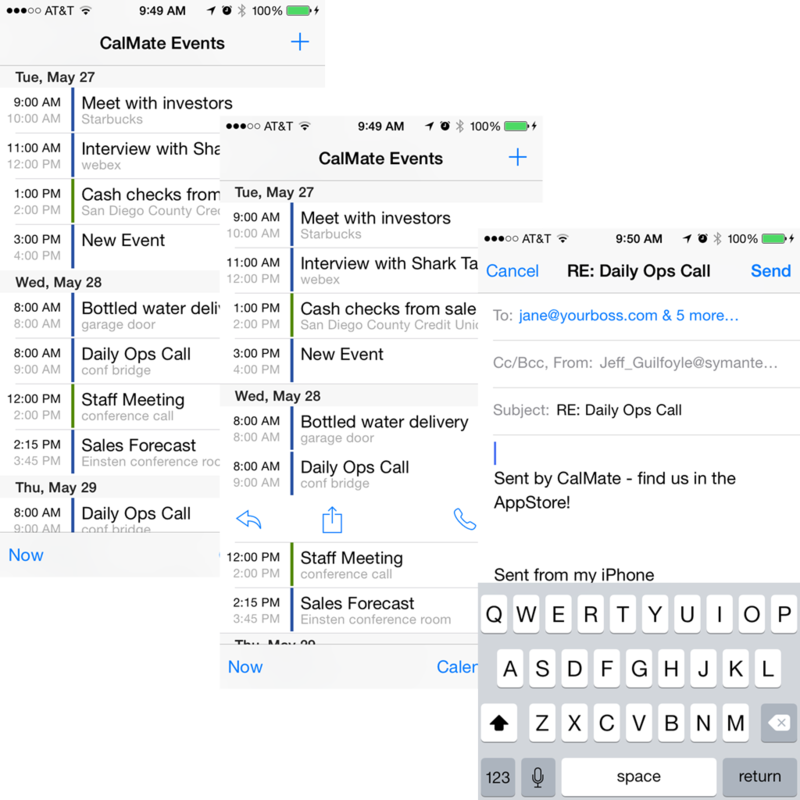 Launch CalMate, tap the meeting you want, tap the reply button, and we'll create a new email message with everyone on the meeting in the "to" line, the "subject" line ready to go, and you type in your content and send! 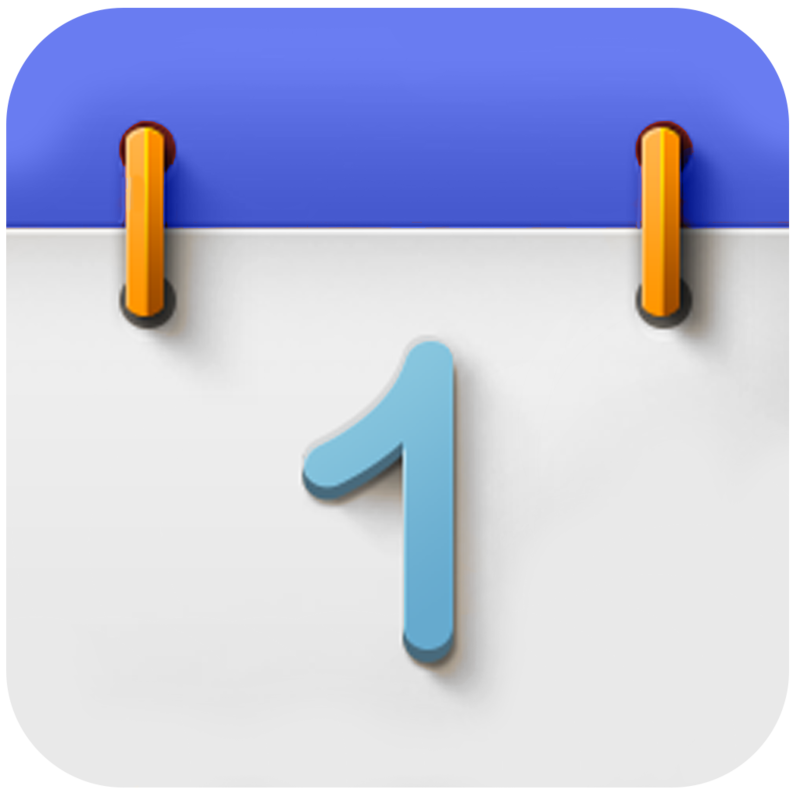 You can finally forward a calendar appoint to anyone else! Version 1.0 has been submitted to the App Store, allowing you to reply all to meetings. Version 1.1 is ready to go, allowing you to forward. What's next? Things we are working on: * Dial the conference bridge phone number and enter passcode * Find the webex link details without having to dig deep What other ideas do you have? Let us know!